How Does ADHD Influence Substance Abuse Rates? Attention Deficit Hyperactivity Disorder, or ADHD, is a serious condition that affects close to 11% of the U.S. population. Disorders like ADHD can cause debilitating symptoms. Left undiagnosed and without treatment, people with ADHD often suffer in silence. They may face social ostracization and disciplinary actions that can impair their ability to function in society to the best of their ability. Without treatment from therapists and doctors, people with ADHD may turn to drugs or alcohol to find relief from their symptoms. Co-occurring or dual diagnosis and substance use disorder require unique approaches to treatment. Although a dual diagnosis can make treatment more complicated, it’s not impossible to find relief from both ADHD and addiction symptoms. ADHD is a complex brain disorder that affects a person’s behavior, ability to focus and concentrate, and their energy levels. People with ADHD may seem “wired” and unable to control themselves. The disorder is usually diagnosed in childhood, but milder cases can go undiagnosed throughout the teen years and beyond. An inability to focus and sit still will affect an ADHD sufferer’s ability to concentrate in school, maintain friendships, and hold a job as adults. ADHD is a chronic, lifelong condition that requires medication in combination with talk therapy to manage. Most children have a difficult time sitting still, listening, or taking turns. But in children with ADHD, these issues are amplified and often lead to disciplinary outcomes that do little to affect the child’s behavior. People with ADHD cannot entirely focus or cannot maintain focus for very long. They will often struggle in school or at work when they can’t spend the time necessary sitting still and listening to grasp complex subjects. Children with ADHD may daydream a lot, or become easily distracted in class or at home. A person with ADHD will act without thinking through the consequences of their actions. While nearly everyone struggles with impulsiveness at some point in their lives, those with ADHD will have a pattern of making rash decisions. They may take something without permission, have intense emotional reactions, or indulge in risky behavior. People living with ADHD are often fidgety, restless, and become easily bored. They might have problems sitting still, or they may talk at inappropriate times. Without intending to, their actions might disrupt or offend others. How does ADHD play a role in substance abuse? People with undiagnosed or untreated ADHD are often impulsive, and they may be more likely to try drugs or drink to excess. Acting impulsively and offending others unintentionally can cause embarrassment and shame. Drinking or getting high can dampen these painful emotions. Also, a person with undiagnosed ADHD may try certain drugs or drink as a way to calm themselves or to improve their focus. Unfortunately, people with ADHD are up to 2.5 times more likely to develop substance use disorder than the general population. What drugs are the most commonly abused among ADHD patients? ADHD symptoms usually manifest when a child starts going to school full-time. Tragically, children with undiagnosed ADHD will report higher usage of drugs or alcohol as teens. Trying drugs as a teenager dramatically increases the risk of a person becoming addicted as an adult. Four in ten children who start drinking alcohol before age fifteen will develop alcohol use disorder. Twice as likely to become addicted to nicotine. Three times as likely to become dependent on nicotine in adolescence. Twice as likely to meet the criteria for alcohol use disorder. 5 times as likely to become addicted to marijuana. Twice as likely to become addicted to cocaine. Studies have found that the number of symptoms a person has and the severity of their symptoms is positively correlated to increased risk of developing SUD as a twenty or thirty-something adult. It is imperative that children and teens who exhibit ADHD symptoms are diagnosed and adequately treated. Failing to address ADHD early massively increases the risk of substance abuse later in life. SUD can worsen the symptoms of ADHD and also cause a variety of legal, personal, and mental and physical health problems. ADHD can be successfully treated and managed with a combination of prescription medication and talk therapy. Patients with ADHD often need help learning how to control their impulses and how to develop positive interpersonal skills. The most common medication for ADHD in children and adults is Adderall XR. How is ADHD combined with substance use disorder treated? Both substance abuse and ADHD are chronic, lifelong conditions. However, both disorders can be successfully managed with ongoing, comprehensive, and customized care from a team of experienced doctors and professionals. When a person first enters rehab, the first step is to get the patient safely through the withdrawal process. Medically supervised detox allows the patient’s body to cleanse itself of drugs or alcohol. 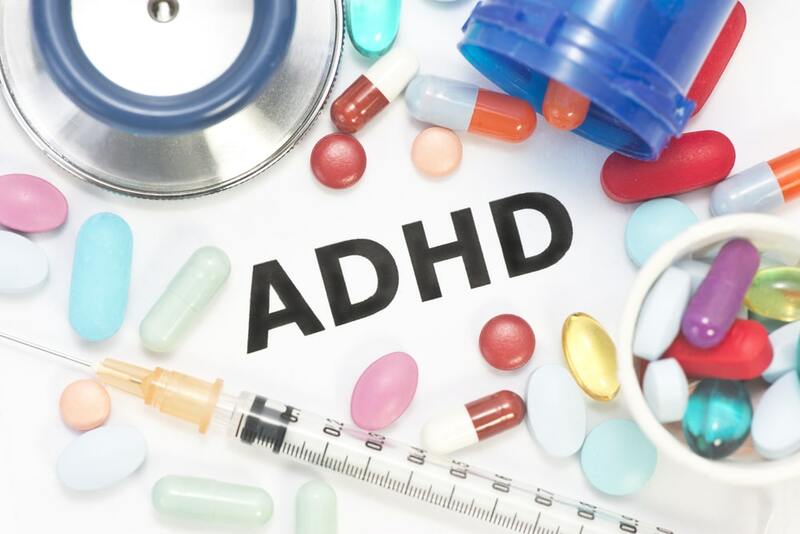 Drugs and alcohol can mask the symptoms of ADHD, and it isn’t until a patient is completely free of drugs that doctors and therapists can adequately assess their condition. After detox, doctors can correctly diagnose and treat a dual diagnosis such as ADHD. The type of treatment a patient needs will depend on a multitude of factors, and a person with ADHD may benefit from either inpatient rehab, a partial hospitalization program, or outpatient rehab. During rehab, patients will have access to doctors and therapists who are experienced with treating and managing the symptoms of ADHD. Patients can learn how to manage their ADHD symptoms along with sober living effectively. Ongoing treatment and therapy, such as 12-step programs, are also recommended for people in recovery for substance use disorder. Ongoing support can give the patient’s support they need to maintain their sobriety and avoid triggers and relapse. Do you or a loved one have signs and symptoms of ADHD and addiction? It ’s never too late to get help and achieve sobriety. The dedicated and experienced doctors and therapists at Windward Way are standing by to help you. Please contact Windward Way today to explore your options for detox and rehab.